The Torah tells us that Nisan is the first month of the year and for that reason, the Kabbalists explain to us that the first 12 days of this month have a substantial impact on the entire year. Nissan has the aspect of Right and Chessed and begins six months of male energy until Rosh Hashanah. While Rosh Hashanah is a time of judgment, Nisan is a month of redemption and Chessed. Each month of the year has one of the permutations of the YHVH name. The month of Nisan is the first of the year and have the name יהוה YHVH. The verse that connects to this month is from Psalms 96:11 “יִשְׂמְחוּ הַשָּׁמַיִם, וְתָגֵל הָאָרֶץ,” “Let the heavens be glad, and let the earth rejoice.” This verse reveals the energy of the month that brings joy and happiness in heavens and on earth. The holiday of Passover that is a celebration of freedom and breaking out of slavery to the negative side is celebrated on the day of the full moon. It represents the complete revelation of the Light of Chessed for the entire year. The sages reveal that Adam was created in the month of Tishrei, Rosh Hashanah but his soul was created in Nisan. We learn from that that on Nisan we can have a spiritual birth. 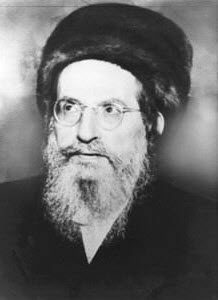 Rabbi Chaim Vital, the student of the Ari, said that these days are like the birth of Adam and like coming out of Egypt. He adds that we don’t eat Chametz in Passover to cancel the evil inclination and to correct the sin of Adam, as well as our sins during the travels in the wilderness after we left Egypt. We step into this month with the ‘Right’ foot. We should be positive and act with Chessed during the first 12 days of the month and beyond. We ‘plant’ positive roots for the entire year and renew our lives. Some people have the custom to follow the first 12 days of the month according to the attributes of the month in relation to the 12 Zodiac signs, shifting consciousness every day. I want to suggest to be and do the best every day on all aspects of your life, home, work, relationship, diet, etc. so the entire year would be the best it can be. Be pure and sincere with your consciousness and actions and B”h you will have a wonderful year. Nisan begins the, and it’s good to go out and see nature in its beauty, absorbing the Light of Chassadim that fills the world during this season. Giving Tzedakah is an essential connection to Yessod for Light and sustenance. It would be beneficial to give at least once during the first 12 days and before Pesach. During this month there’s no mourning and no visits to graves unless we visit a Tzadik that is not buried in a cemetery. It’s good to light candles for Tzadikim during this month and have their spiritual support. You can visit our Tzadikim website and or the Tzadikim app to read about the Tzadikim and light virtual candles. Chodesh Tov. May you have a great month and a year full of the light of Chassadim, miracles, strong health, sustenance, love, and redemption. May you conquer the evil inclination and see the Light in everything.